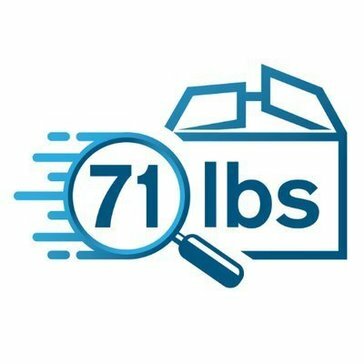 71lbs not only offers a state-of-the-art automated system for tracking shipping errors, but is a human-backed solution as well. Acteos Supply Chain ERP has been designed for an overall Supply Chain efficiency. You can build at your speed your own solution and get only the modules you need to optimize your Warehouses, Transport and Procurement. The Advanced Shipping Manager is one of the many enhancements we offer to make your store more efficient. While many E-Commerce Store platforms provide an easy way to get your business online, it provides the right services and tools you need to allow your business to flourish. 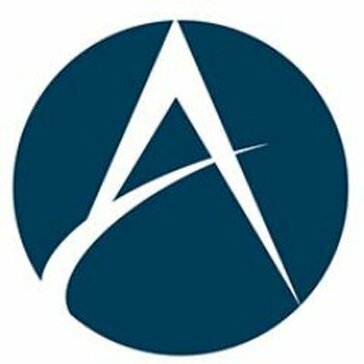 Airlift provides ecommerce logistics and fulfillment. AIT SureShip provides a single-point interface for connecting CloudSuite Industrial (SyteLine) shipments with UPS, FedEx and USPS. AIT SureShip fully integrates with ERP technologies, so you don't have to leave your ERP application to perform shipping transactions. This will save you thousands of hours each year and eliminate the hassle of using multiple, disparate solutions. You'll also eliminate the errors associated with manual data entry. Brings Shippers and transporters together to deliver efficient transport planning and execution process. No more you need to coordinate with supply chain partners on phone calls and emails. Easily manage all transport related activities under single platform. AX4 creates the preconditions for a successful Collaboration of all participants by displaying company branching processes and integrating the different systems and participants. AX4 offers an easy access to a big network with more than 200,000 users. BigRoad is a solution that for drivers, fleet managers, dispatchers and safety managers with features that help prioritize safety and compliance, eliminate paperwork and avoid fines. People should spend less time waiting in queues and more time with their crews. Therefore we have created a smooth home delivery service for online shopping. The "Cargo Assistant Web Client" is a web-based telematics service for your freight company, which simplifies and speeds up your workflows drastically. Skyline offers clients a very powerful tool to manage all aspect of their cargo operation including: shipping, receiving, load management, and track/trace shipments. A simple cargo management software to collect, manage customer information, invoice & road challan generation along with automatic eWay Bill creation directly from government portal. Cirrus is a cloud-based transportation management system that is tailored to accomplish one thing - provide the clarity necessary to help your business operate more efficiently. From entering carrier rates and contracts to automatically generating BOL paperwork, Cirrus streamlines the process and keeps your business connected, resulting in a more optimized process and lower operating costs. Infor CloudSuite Supply Management is a complete source to settle solution that gives you full visibility of indirect spend and helps you identify opportunities to control it by increasing compliance and leverage with suppliers. Consignor provides you with a range of Delivery Management tools and value added services that increase your level of efficiency, customer service, cost control and quality control. Logistic and Courier tracking software is a product of Courierscripts the best solution for Logistic , Courier & Cargo Business . Enable Tracking , booking options in your existing or new logistic website. Best logistic software solution from small startups to large enterprise. You can integrate the tracking modules and booking scripts on your website. The logistic and courier tracking software is very easy to setup and manage comes with powerfull administration. You can also integrate the tracking software with shopping websites to automate the process. Simplify the shipment and tracking of crude trains by truck-to-truck transloading, terminal railcar tag scanning and full railyard management tools. Do not touch a cardboard anymore! Cubyn collects, packages and ships your parcels the same day, all over the world. DANAOS Web Enterprise Suite; a fully web enabled maritime software that automates all the daily functions of any shipping company. DCMobile is a powerful shipping solution designed to help your distribution, fulfillment, or manufacturing company streamline the shipping process. Deliverable provides cloud shipping software and API. Easy2Trace has been designed to exactly meet the shippers key needs, without any heavy or complex systems. No more useless features or expensive devices, Easy2Trace solution only offers what you really need and only requires a smartphone. Real time tracking software that lets users track critical infrastructure, lone workers, and inventory from one interface. Edgefinity IoT is a modern application that combines RFID technology with real time tracking capabilities to give users the ability to locate items and employees with ease. Edibar-RMS is a shipping release software program that allows suppliers to automatically produce shipping notices from received orders. Encuentra descuentos inigualables y las paqueterías más confiables. Eurosender Ltd is a leading digital platform for booking logistics services in Europe. An automated shipping solution for eCommerce store owners or sellers. Import orders easily from your store. You can manage couriers, tracking Numbers and in easy steps. FirstMile specializes in complete front end solutions for domestic and international shippers in E-commerce industries. The Prestashop free shipping manager is designed for provide to the free shipping facilities to the customer. Prestashop Addon enables the store admin to create the rules, terms and condition of the free shipping. At the heart of the GBMS system, the Warehouse Management System (WMS) encompasses alll the day-to-day transactions that run a warehouse or distribution center, with fully integrated data center technologies, such as bar code scanning, bar code printing, and wireless mobile data collection. This complete warehouse system includes picking, packing, put away, shipping, receiving, inspection, inventory analysis, inventory moves and adjustements, warehouse transfers, inventory counting, warehouse and location maintenance, on-the-water inventory tracking, as well as all related traceability of items assigned to such as serial, Lot number, Lot Date, expiration Date, etc. Logicor Shipping is to solutions that solve the difficult shipping challenges of business across wide range of compaines. It has reduces shipping costs by enabling users to search for the lowest rates and method of shipment. The platform brings supply chains up to date with the demands of the modern digital consumer by accelerating and streamlining the collection, analysis, and sharing of real-time data among all supply chain partners anytime, anywhere.
. HighJump's shipment visibility and notification solution is the tool to satisfy both constituents. iabol is a fully integrated shipping software solution that allows you to create labels instantly using UPS. Free Instant UPS FedEx Audit Tool Upload Your UPS FedEx Invoices Receive Immediate Results! Lateshipment.com helps companies of all sizes optimize their supply chain by auditing their shipping carriers’ performance and automating refund claims for 50+ carrier errors including late and lost parcels, thus reducing shipping costs by up to 20%. Monitor your carrier delivery performance with real-time shipment tracking; Intelligently predict carrier errors like late deliveries and fix them before they adversely affect your customer's last mile experience. We work with leading retailers across the globe such as Michael Kors, Roots and support over 16 global carriers. The LAPro software package is a complete system for Liner Agents, developed by our company. The system covers a wide range of functions required for organizing the shipping lines and liner agency services. LogistaaS is a cloud software solution for medium and small-sized freight forwarders looking to improve their competitiveness through technology and streamline their day-to-day processes. Manhattan Associates' Store Fulfillment solution is designed to enable robust picking, ship from store and in-store pickup flows with an easy-to-use mobile interface.